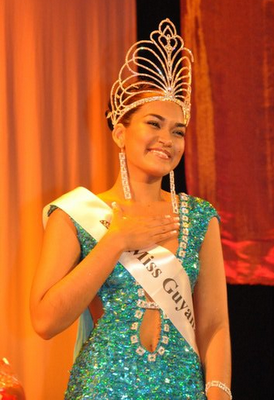 Last night, Miss Guyana World 2011 Finals took place at the National Cultural Centre in Georgetown. 22-year-old Arti Cameron was the winner. She will represent her country in Miss World 2011 Pageant. 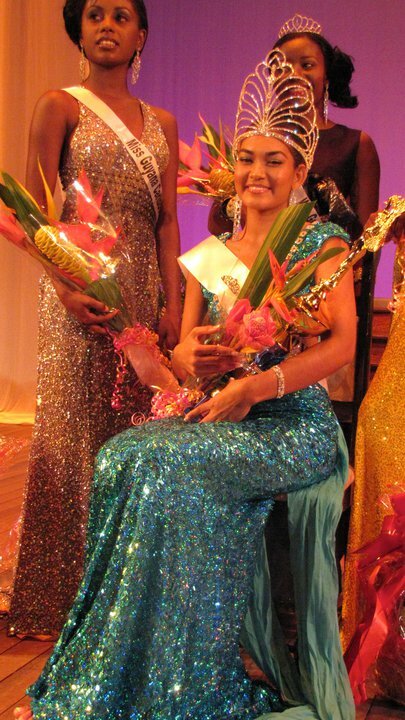 GEORGETOWN, Guyana - Arti Angelita Cameron (22, Georgetown) was crowned Miss Guyana 2011 at the National Cultural Centre in Georgetown. She will represent Guyana in Miss World 2011 in London, England on November 6. Soyini Fraser was the first runner-up, Celeste Angelique Dolphin was the second runner-up and Utieka John was the third runner-up.